Assists with client related residential services; responding to emergencies, maintaining safety and security of clients in the facility. 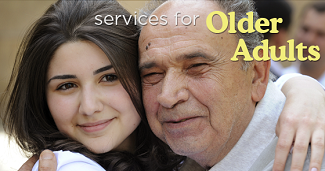 Facilitates client activity groups for adults residing and/or being treated in Via Avanta programs. Assesses and monitors client daily activity schedule and, prepares then submits client participation reports to the Program Director and counseling staff. Provides and participates in crisis intervention, as well as facilitates conflict resolution among the program participants as needed. Participates in providing 24-hour coverage; which includes working evenings, weekends, and holidays. Maintains accurate and complete documentation of client self-administered medication, and ensures compliance with Agency policies and procedures and County/other public agency regulations. Conducts phone referrals, performs intake screenings, as well as prepares and files client charts for the adult residential program. Assists with scheduling client transportation to appointments with other community support services. Conducts routine walk-through of program facility; notes problems and prepares a physical plant and client safety status report. Develops and maintains counseling skills through seminars, workshops, or other forms of training related to substance abuse prevention. Attends and participates in program and Agency staff meetings, and all other duties as assigned. 2:30 p.m. to 11:00 p.m. The ability/flexibility to work varied hours including evenings, nights, weekends, and holidays. Associates Degree in Human Services or related field; a minimum of 1 year experience preferred. Knowledge of HIPAA policies and their documentation guidelines, licensing, and other state and federal regulations relating to residential psychiatric programs. Knowledge of residential mental health programming, psychiatric crisis intervention, documentation, group counseling, multicultural and socio-economic issues. Skilled in presenting ideas, information, and viewpoints clearly, both verbally and in writing. Experience using Microsoft Office products, and all other clinical databases. Ability to use analysis, experience, and good judgement to make decisions. A willingness to adapt to changing needs by acquiring new skills and knowledge. First Aid, CPR certification required for all Residential counselors. Non-certified individuals hired into the position must be willing to complete certification course within 30 days of employment. Current California driver's license and a driving record acceptable to the Agency's insurance carrier.